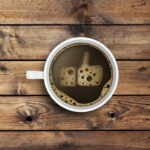 Our recent survey asking, “What’s hard about learning CNC?” was extremely popular. We got well over 200 results in no time, so I thought I’d go ahead and publish the results. – Which cutter to use? – What feeds and speeds? 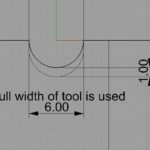 – What cut depth and cut width? Color me surprised that it was such an overwhelming winner, and gratified because of course CNCCookbook’s G-Wizard Calculator is specifically designed to help with all aspects of that area. It’s CADCAM Wizards will help you select cutter, cut depth and width (stepover if you prefer), and give feeds and speeds. Of course it also includes the industry’s most successful feeds and speeds calculator, and plus we offer Cut Optimizer, which is another way to approach the Cut Depth and Cut Width question. – The need to calibrate the machine on where Part Zero is. We wrote an article detailing 8 ways to set up Part Zero that may help in understanding this important procedure. – Homing. Many hobby class machines have inaccurate homing. Rather than going home, the go to some random house in the Old Neighborhood. This can be confusing to new users who don’t understand this nuance. 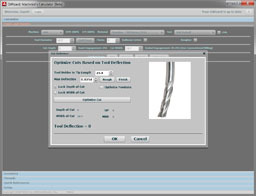 – Tool Lengths and Tool Tables. This one is always a source of confusion and a tough place to be in if you’ve made an error. It’s no wonder that machines that aim to be super easy, like the Carbide3D Nomad, have added built-in and integrated tool touch sensors to eliminate this worry. Number three was Workholding and Fixturing. I remember this took some getting used to and I spent a lot of time in my early CNC days reading everything I could about it just to try to understand all the possibilities. To a beginner, it’s an issue of how the heck the cutter is going to get at everything with a vise in the way, or why would I ever want to use a 4-jaw chuck if a 3-jaw is so much easier? For the lathe, I wound up creating a special summary table that organized all of those options and made it clear which workholding solution to choose. Number four was using CAM to create G-Code. Of all the various kinds of software associated with CNC, and especially the software that every CNC’er will have to confront and use, CAM seems to have the steepest learning curve. Every beginner walks in thinking CAM is easy, “I load my drawing, push a button, and out pops the g-code, right?” One reason 3D printing often seems easier than CNC is because the “Slicers” used by 3D ers come much closer to that ideal. Most CAM is ponderous. It asks question after question, none of which the newbie has a clue how to answer. It expects you to know exactly which machining operations will be needed and in what order. It cryptically refuses to understand your CAD drawing which looks obvious and simple to you. I have to know a fair number of packages to report on them and make sure the work and play well with our other software. But one of the things I hate most in CNC is trying to learn a new CAM package. The main reason CNCCookbook resells MeshCAM is not that it was the only CAM we could get. I’ve been offered a chance to resell all sorts of CAM packages. Many of them sell for much more money and probably have greater revenue potential for CNCCookbook. But the one thing that inspired me about MeshCAM was that out of all the packages I had tried, it was by far the easiest to learn and use. Sometimes you want absolutely the most optimal toolpaths. MeshCAM won’t give you that. By radically changing the CAM paradigm and asking radically fewer questions, it achieves radically simplicity at the cost of some toolpath performance. When you’re a beginner struggling to make a part at all, simplifying the CAM portion of the workflow is a huge benefit. You’ll be so much happier making parts faster, and there is time later in your career to figure out how to get more optimal toolpaths. For some projects, that time may never come. I know of machinists who have access to some of the most sophisticated CAM around, and they use it for making production parts. But for simple fixtures when they don’t want to wrestle with a complex electron microscope (metaphor there), a hand magnifier can make things so much easier and more productive. Number five is getting the CNC machine up and running. This is a particular problem for hobby class machines. Plug and play doesn’t exist in very many cases. Even pro-class machines have some teething pains that have to be worked through before operation becomes routine. These are complex beasts with a lot of moving parts, after all. Number six is creating drawings in CAD. CAD has many of the same issues as CAM from a learning standpoint, but it seems to have done a better job knocking the rough edges off. That’s not to say it isn’t a fair-sized learning curve to come up to speed with CAD, but it is manageable. Lastly but not least is Measurement and Holding Tolerances. How Does Experience Color These Answers? I’ve broken out the responses by experience level. As the old saying goes, “When you’re starting out, you don’t know what you don’t know.” I wanted to look for patterns in the experience level that reflect some of that notion, and I also suspect the answers are colored by things that remain sources of pain even for very experienced CNC’ers. We had a number who commented they’d been at it for 30-40 years. Folks like that are also the ones being called on to help train the new recruits. In addition, the more experience you have, the more complex are the challenges you tackle, which can make things seem harder with experience. – Measurement and Holding Tolerances wasn’t hard for anyone, but it does get a little tougher for the experienced. – Workholding is toughest in the 1-5 year range. I suspect this is where you’re being exposed to increasingly ambitious projects and you’re struggling to keep up with your fixturing and workholding skills. It’s not enough just to stick the part in a vise or 3-jaw chuck, so the learning curve steepens here. – Operational Details (Homing, Tool Lengths, etc.) stay painful at all levels. – Cutters, Feeds, and Speeds, and the like get just keep getting tougher. New materials, new tooling, and a desire for ever better performance all contribute with experience. – Using CAM gets steadily easier. It takes time to become an expert in a complex CAM package, but eventually expertise will come. – Creating drawings in CAD gets radically easier in the mid-years, but is harder for both beginners and experts. Quite a lot harder, in fact. Learning your first CAD package is tough. – Getting the Machine up and running stays about to the same to perhaps getting a little harder for beginners. – It’s hard to understand the overall workflow and how it all fits together. Many commented about wanting a complete set of very basic learning materials that cover every step from unpacking the machine through making your first part. – You have to learn a lot of concepts before you can make your first part. The first bite is almost enough to choke on. – DIY is tough for beginners because problems could lurk anywhere. Be nicer to start with a known working machine. – Many commented on the difficulties of learning g-code, which is not something the survey asked about and should have. We offer a free g-code course to help and it’s one of the most popular areas on the site. – It’s difficult to know even what framework to use in making purchase decisions about almost every aspect of CNC, but especially CAM software. Why is one better than another and what do I really need? – Help understanding what tooling is really needed versus nice to have. 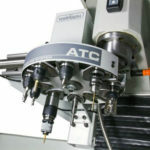 – There were a number of write-ins asking for more Conversational CNC so manual machinists could be productive immediately without having to climb the CADCAM learning curve. How Can We Make CNC Easier to Learn? I want to use lots of visuals and make it possible to do top-down drill down to get to any level of detail needed to understand and learn CNC. More news as it unfolds. For more surveys like this one, check out the CNCCookbook Survey Results page. Postscript: The original version of the article had the experts and beginners reversed. The text has been updated to report the correct interpretation. Thanks to all who commented on it! Bob, great diagram for a high level top down. As a degreed engineer and self-taught machinist I look forward to seeing your guide and how it compares to how I learned. I wonder if the more experienced responders of the survey have more trouble with CAD due to its relatively quick changes in features and interfaces that millenials won’t have as much trouble exploring. Perhaps, it’s the opposite though and things have been watered down and automated too much for us young guns. Good work flow and concept explained in clear and consistent manner. This gives the user where to focus on when starting with a CNC programming career. I am a hobbiest, a guitarist with an interest in cnc to help me prototype ideas in guitar building. My biggest battle with cnc has been the first one- just getting the machine up and running, getting the connectivity, the computer to talk to the machine. Nightmare problems with parallel ports and cards and drivers and computers dying in the garage and simply not knowing what to do to fix the problems, not knowing where to find the answers, not having anyone to ask. I have had the machine up and running, only to have the computer die after a period of not using it, and not being able to get up and running again with a new computer using, as far as I know, the same settings that worked before. A nightmare. I would quit altogether except for the facts that 1. I am not a quitter, by nature, 2. I have invested in this gear, and I want to get use from it, and 3. I still think cnc is cool, despite all the problems, and I see reasons to use it that make sense to me, so I intend to get over the hump of all the problems. I am too late for your survey, but thought I’d write you with my observations, since I see that this problem was listed down the list around #4 or so, and I thought: I’d put it #1, if I were asked. James how are you coming along with your CNC?